If you have a broken down boiler, need a replacement upgrade boiler system in Sheffield, Chesterfield, Barnsley, Doncaster, Rotherham or beyond, we can help. “Fantastic customer service from the entire team right from the first home visit for a quote, through to the installation and follow up support. The whole team were friendly and went the extra mile for us. A BIG thank you! “Had a new boiler and nest thermostat fitted on Friday. Chris was very professional and offered great advice. They arrived promptly and got on with the job and really treat your property like it was their own, tidying up and leaving exactly as they found it. Highly recommended. 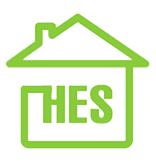 “Throughout the whole process – home survey, quote and work completion – very professional and 1st class customer service – and added after completion services. Informative, thorough workmanship, cannot recommend highly enough. “Very happy with the service. From initial enquiry through to completion, all staff were very professional, friendly and helpful. The work was carried out at short notice and with minimum mess. Would highly recommend. Our dream is to bring unrivalled customer service to the heating installation industry. We bring together our teams’ many years of gas engineering experience and a constant development of customer service to create our unique offer. We aren’t like everyone else, we do things the Big Boiler Shop way. We promise to never sell a product to you that is unsuitable for your needs – we are accredited by all the major leading manufacturers. 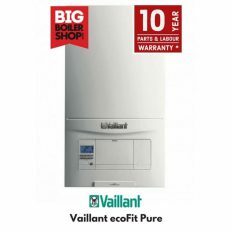 In times of emergency, we can have a new boiler installed for you within 24 hours We are 100% impartial and like other companies do not have an affiliation to any one brand. Our goal is to always advise what is the best boiler installation for you. Choosing a provider for your boiler installation can be a minefield! Always see what customer have to say about the business before reaching out. We are delighted with the feedback on our industry-leading reviews and this video from a happy customer! 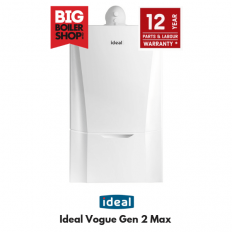 Do not buy a new boiler until you’ve read this! 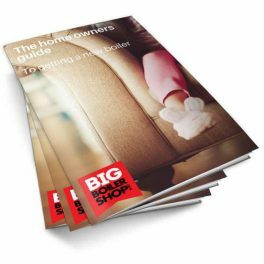 Our Homeowner Guide to New Boiler Installation e-book is available for FREE right now. 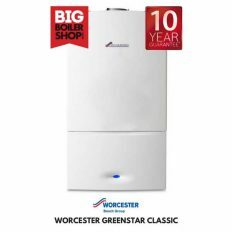 It is full of useful advice and impartial tips and what to look for when shopping for a new boiler, upgrading your system and plenty of information on accessories that come with the modern boiler. Enjoy it, we hope you find it very helpful!